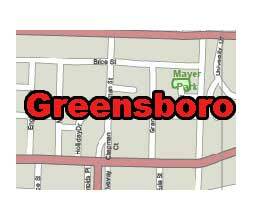 Editable royalty-free map of North Carolina, NC in vector-graphic online store. North Carolina is a state located in the Southeastern United States. The state borders South Carolina and Georgia to the south, Tennessee to the west and Virginia to the north. 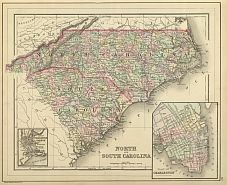 North Carolina county map, colored. 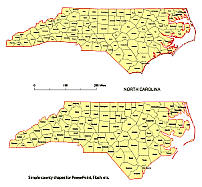 North Carolina Illustrator outline map. 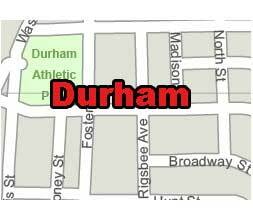 Durham city printable map. 9 MB CS3 version. North Carolina has 3,826 square (9,909 square km) of inland water, and the North Carolina coast runs for 301 mi (484 km). Elevation in the state ranges from 6,684 ft (2,037 m) above sea level at Mount Mitchell, which is the highest point in the eastern section of North America, to sea level at the Atlantic Ocean. The state is approximately 500 mi (804 km) east to west and 150 mi (241 km) miles north to south. North Carolina’s major rivers are the Roanoke, the Tar, the Neuse, Cape Fear, the Catauba, and the Pee Dee, which is also called the Yadkin. The state has a number of natural lakes, such as the Mattamuskeet, the Phelps, and the Waccamaw.